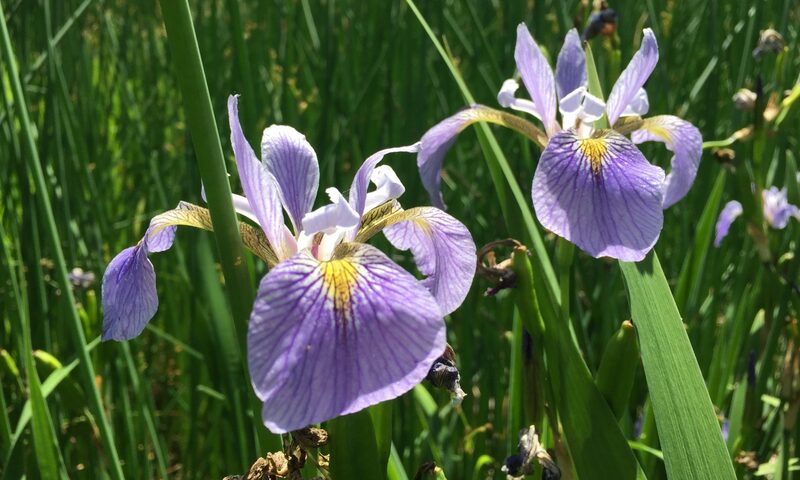 JUST A SHORT RIDE FROM SHENKS FERRY WILDFLOWER PRESERVE IS THIS MAJESTIC GLEN FULL OF SURPRISES. 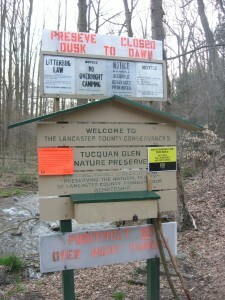 Driving by this natural area on our way to Shenks Ferry, we saw this welcoming preserve with trailheads and a parking area. “We should try to stop there on our way back from Shenks Ferry.” We did stop later on and we paid no attention to what it was called and hiked on in. We did not have much time. After a half hour in we started to wonder why we never heard of this place before. What is this place called anyway? We could give it our own name. 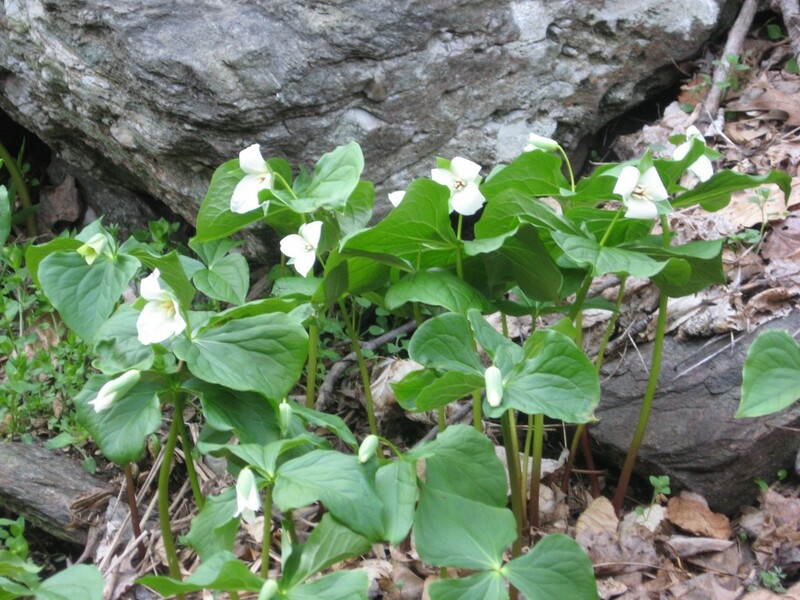 How ’bout the Mayapple mountain? The fern-oretum? The Trillium slopes? The Hemlock Place? The Wooded Ravine with Hardly Any Invasives? When we got back to the car we were sure to take some notes, and we are definitely planning on returning. 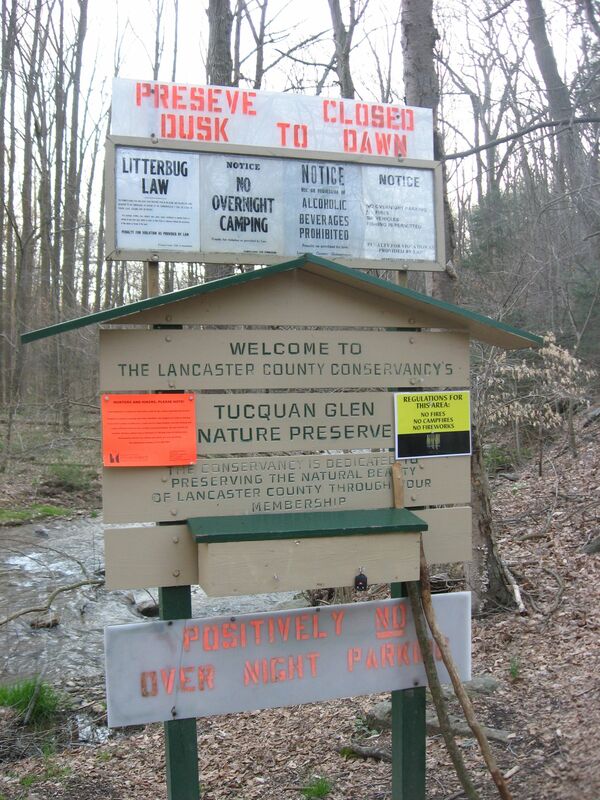 This is the Tucquan Glen Nature Preserve. 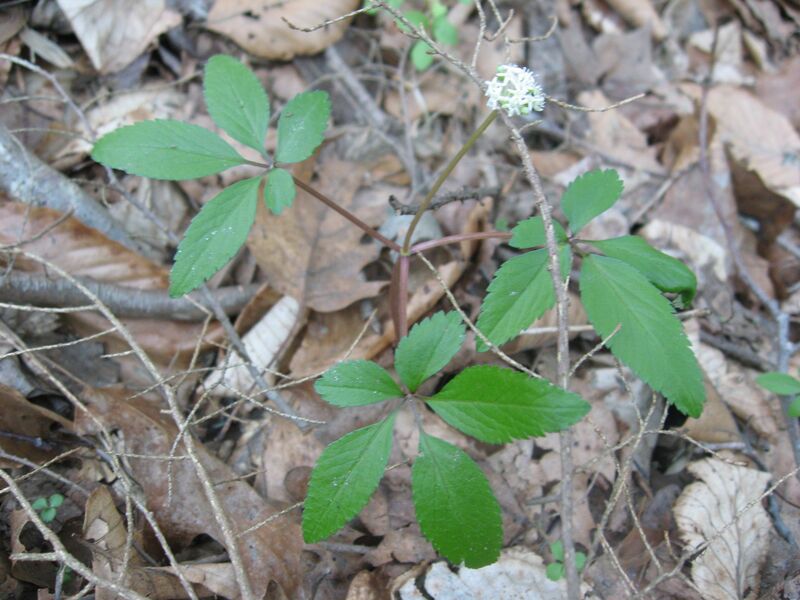 What a surprise to find Dwarf Ginseng in bloom! The lack of invasives here was a nice surprise as well. We saw a small patch of Lesser celandine (Rununculus ficaria) on a floodplain, only about 20 by 20 feet. That should be targeted right away for eradication. There was one specimen of the invasive exotic Garlic Mustard (Alliaria petiolata) that required action by the Sanguine Root environmental restoration team. If a West Virginia White butterfly (Pieris virginiensis) saw the Garlic Mustard in bloom it may very well mistake its flower for the flower of its larval host, the Cut-leaved Toothwort (Dentaria laciniata) a native flower we saw growing in Shenks Ferry, and most likely grows in Tucquan Glen. It could lay its eggs in the Garlic mustard which would poison the larvae. Oh yeah, that Garlic Mustard? Growing right next to this hillside of Trilliums. This place is the last place in mind that should spark up a discussion of Garlic Mustard, but the fact that we saw just that one and none other is a good enough reason. I would be very happy to have been there and pulled the first and only Garlic Mustard in Morris Park. There was a point in time when there was just one Garlic Mustard plant in Morris Park. 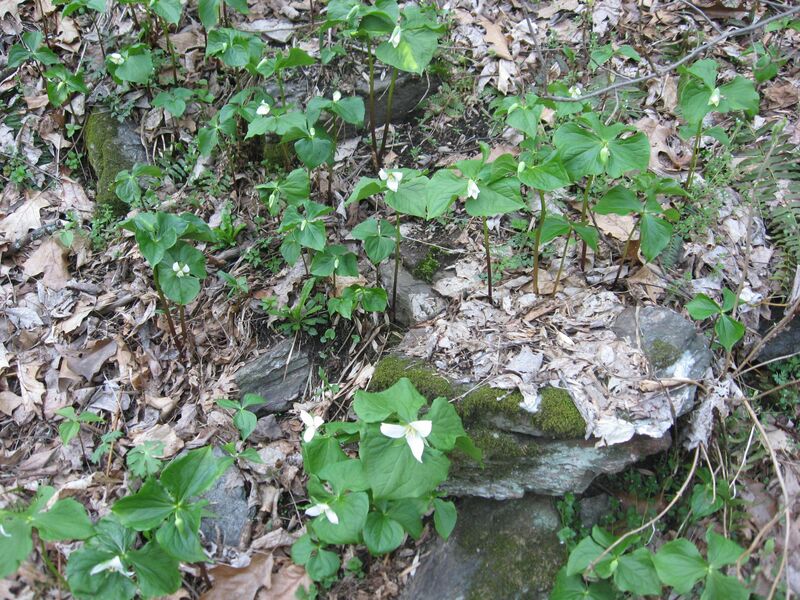 Anyway, Check out this rocky hillside of Trillium flexipes. Moss-covered rocks and Christmas ferns abound. 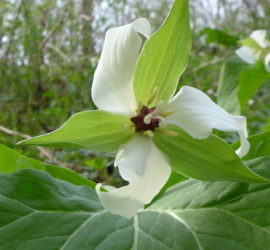 There is a great article published by The Mt Cuba Center in Delaware written about the seed and Rhizome components of Trillium. It is called The Dark Side Of Trillium, and it describes very technical aspects of the plant in easy to understand language and has lots of pictures of trilliums that have been dissected for the cause of science. The dissection shows the trillium in its embryonic form in the bud. The article also makes seeds that much more interesting if they arent interesting enough. 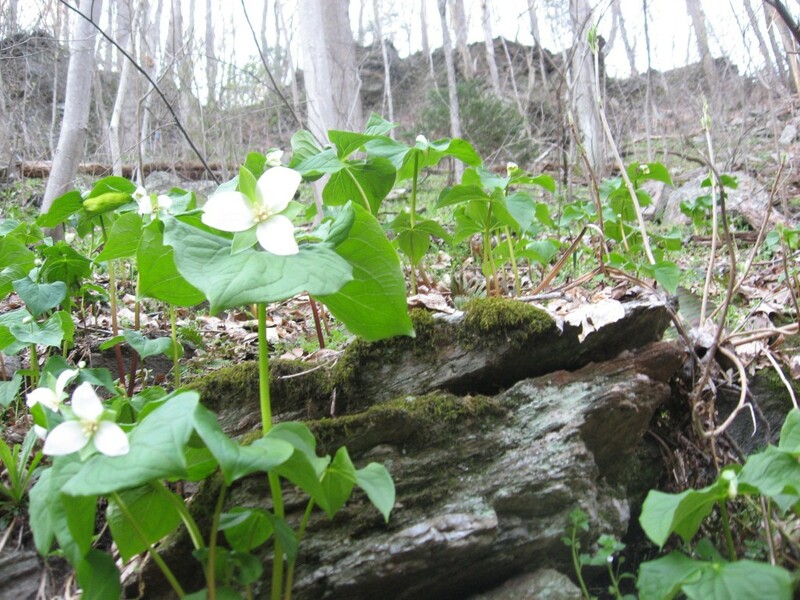 For anyone who wants to deepen their understanding of Trilliums or just the botanical nature of perennials in general, this is your reading material. This was as far as we got, only about 20 minutes into the hike. When we found the Trillium patch, the sun disappeared over the top of the ravine. 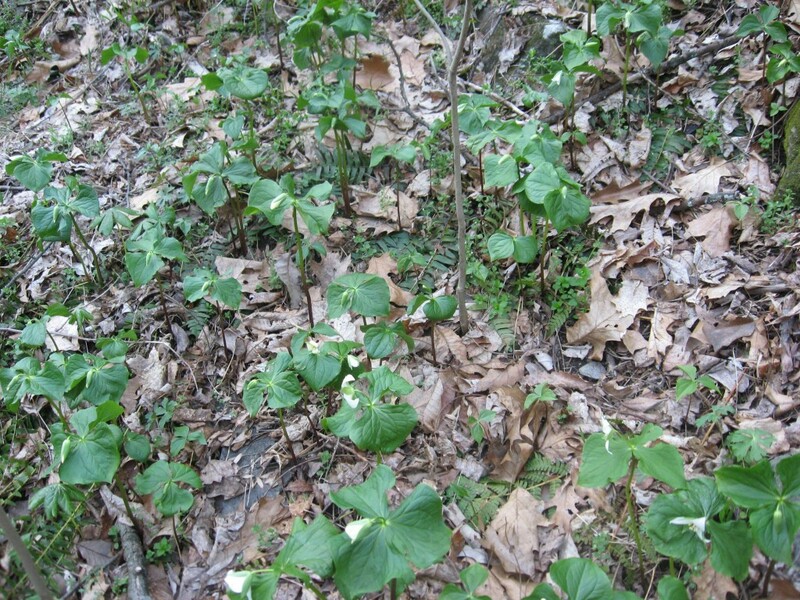 This Trillium colony was dense like a colony of Mayapples, but these were Trilliums. The Trail was great. 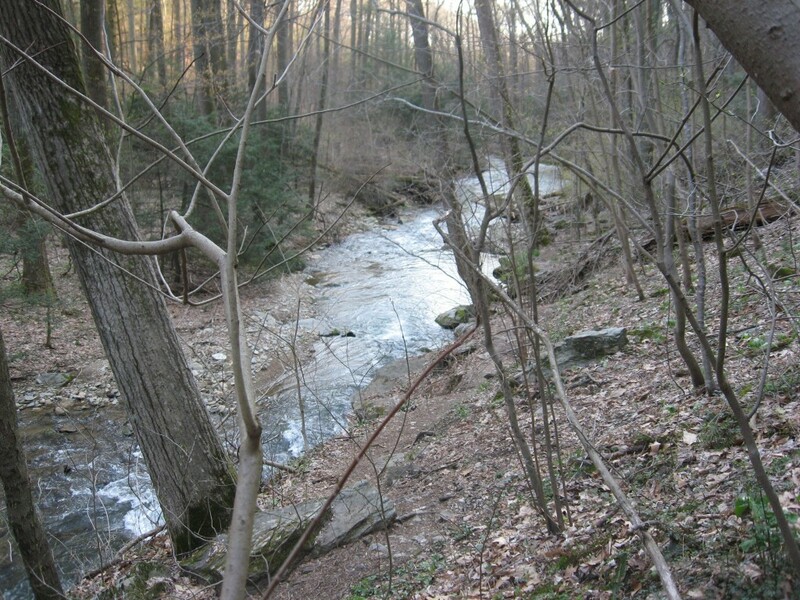 Some of it ran right along Tucquan Creek, and wound along rocky and interesting sections of this winding waterway. Here we saw a variety of plants growing next to the rocks. 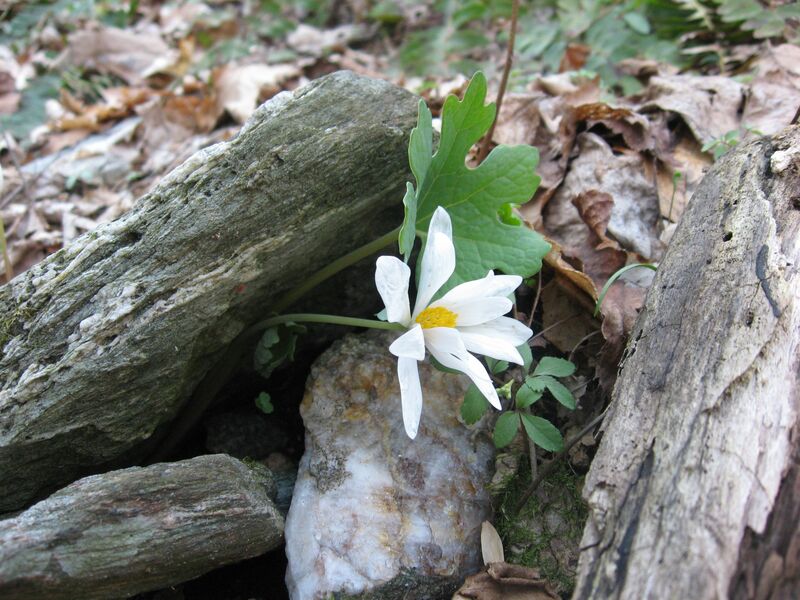 Trout lily, Mayapple and even Bloodroot which we found surprising because we usually associate this plant with more of an upland location. Claytonia virginica, the Spring beauties abounded in flower. As we got closer to the trail head and parking area, the trail moved up about 30 feet above the creek, and we got a feel for the upper part of the ravine. The Rich ravines of the Lower Susquehanna River Valley continue to dazzle. This place is worth a day trip from Philadelphia. If you get the opportunity, go visit the next door neighbor to the Schuylkill River Valley!